Kayaking For Almanor’s Trophy Trout! Lake Almanor is at once inspiring and frustrating. To be sure, the trout that dreams are made of swim the waters of Almanor, but they don’t come easy! Back before the present dam was completed in 1927 centuries old meadows dotted with springs covered the valley that now makes up the bottom of Lake Almanor. It’s the rich soils of those meadows that drives the food chain at the north state trout factory. The reservoir boasts both a prolific amount of aquatic insect life and a huge biomass of Japanese pond smelt. The nutrient rich lake waters make for a vast reserve of plankton that the pond smelt eagerly gobble up. The result is that Almanor’s browns and rainbows are never far from their next meal and they respond by growing to massive proportions. “It’s no big secret that Almanor has browns that run up to over 10 pounds, but a lot of folks overlook the size of the lake’s rainbows. I have an Almanor rainbow on my wall that weighed over 10 pounds,” exclaimed Bryan Roccucci of Big Daddy’s Guide Service. 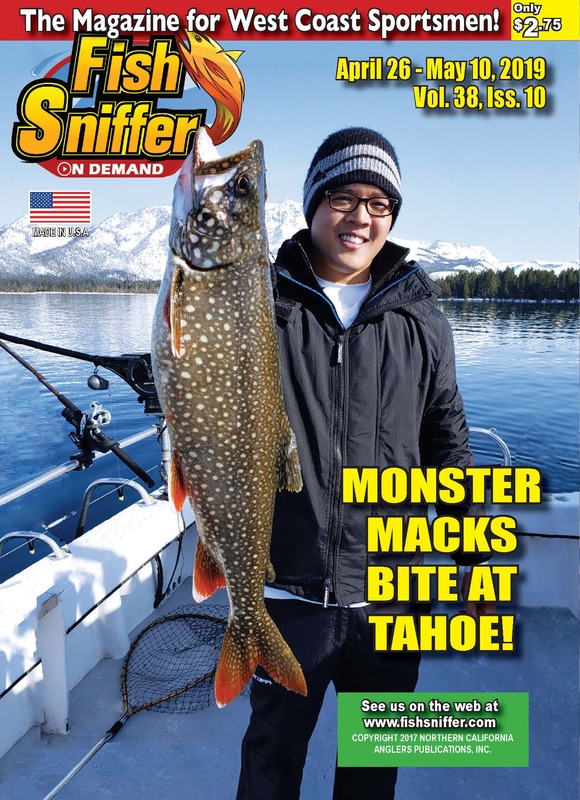 Roccucci is perhaps the most knowledgeable and successful angler fishing Almanor at this time, but even he admits that successfully catching trout at the lake is far from a slam dunk. Almanor fishes hard, has been my mantra for years and I stand by that. 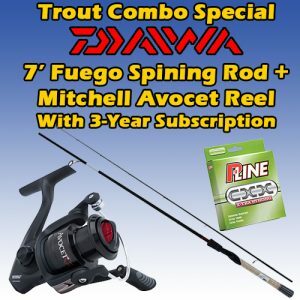 The lake is full of trout and many of them are huge, but they can be exceedingly difficult to hook. To illustrate this, I’ve been fishing the lake for many years and I’ve yet to land a five fish limit there. For me there are lots of other destinations that give up far more fish than Almanor, but it’s the size of the fish in Almanor that keeps me going back. A big brown would be groovy, but the fish that really has fueled my imagination for years is a legit 8 to10 pound wild rainbow. I’m not talking about a big hatchery fatty that gets dumped into a lake (I got a 9 pound 15 ouncer at Chabot years ago), but rather a big squaretail predator that would never think of gobbling down a chunk of floating dough….That double digit rainbow is likely finning around Almanor’s shallow waters right now! 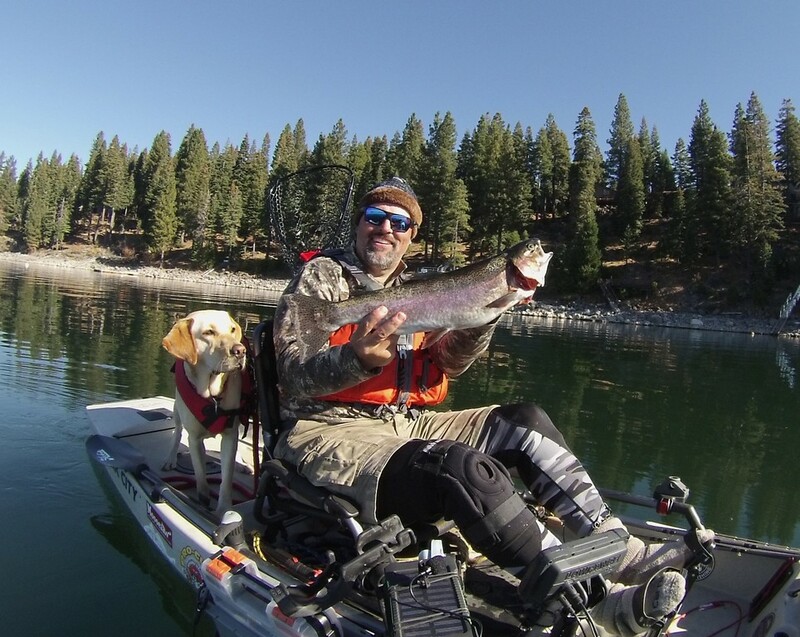 I had all this rolling through my mind, when Lucy the Labrador and I headed up to Lake Almanor for two days of trout fishing on October 19 and 20. The first day we arrived at around 7 in the morning after a long O-Dark-Thirty drive. Rather than heading right to the boat launch at Almanor West, I grabbed a camping spot and set up our tent and other gear. The temperature was slated to dip into the middle 20’s so I crammed plenty of sleeping bags and blankets into the tent to keep Lucy and I warm. With camp set up, I dumped the Hobie Pro Angler 14 into the lake and was soon peddling around dragging a large smelt pattern spoon near huge balls of smelt. We trolled and jigged all day, with only one bit of excitement coming near sundown when something big ripped the spoon off the downrigger and proceeded to make two long blistering runs before shaking the hook….I was stunned and disappointed but still pumped up. I vowed to be on the water at first light the next morning for a rematch. The night was long and cold. I really didn’t want to face the predawn chill, but I got up anyway, fired up the coffee and made Lucy breakfast with warm water. Little did I know that I was about to get a whole lot colder. When I pulled up to the empty boat ramp, the temperature in my dashboard display read 24 degrees. I slid the kayak off the trailer without incident and started walking it over to the floating dock. I covered about a yard, when my feet shot out from under me and I slid down the ramp stopping in about 2 feet of water. When I tried to stand up, I went down again. The cement near the dock was coated with slick algae! After stripping down in the parking lot and jumping into warm clothes Lucy and I were on the troll pulling a large Silver Horde spoon at 18 feet and a smelt pattern trolling fly 2 feet deep. After hooking and losing a small rainbow early, the morning proved to be extremely slow. By 10: 30 I was approaching the Peninsula. That’s when I noted that the bait had a different look in that area. The bait looked confused and scattered in places as if something was pushing the little fish around. While I trolled along, fellow kayaker and Fish Sniffer staffer, Wes Ward called me. I answered the phone, put Wes on speaker, slipped it into a pocket and we started to talk. I’d just finished telling him about falling into the lake, when the fly got crushed. I got the entire incident on video as I talked to Wes and fought a fish that seemed to grow larger with every second. 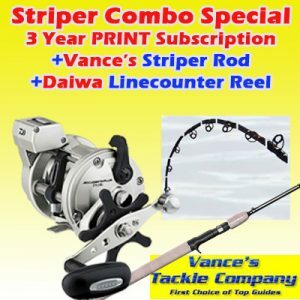 The rainbow ran, it jumped, it jumped over the nose of the kayak at one point and it made a power dive and run that wrapped my Vance’s rod around the couture of the Hobie’s hull. As the fight went on, I got more and more excited and was finally able to slide the huge rainbow into the net. I immediately estimated the fish to be something over 5 pounds, but I missed the mark badly. Back at camp the fish measured just over 26 inches long and weighed in at 6.89 pounds on a digital scale. It’s by far the biggest wild rainbow I’ve ever caught and represents a major stepping stone in my quest for a 10! If you’d like to explore Almanor’s trophy potential with Bryan Roccucci, give him a call at (530) 320-0368 Not only will he put you on the fish, he’ll also teach you a lot about trout trolling!